In 1943 the US and British forces were conducting a successful bombing campaign directed against the factories of Nazi Germany. In order for vital war production to continue, Hitler ordered that the factories were to be moved underground to secret locations. A site in the sandstone of Thekenberge Hills near Halberstadt in Germany was chosen for a series of tunnels of between 42000 to 60000 square metres in size to be built. Work began at the site in April 1944 using both civilian contractors and the SS Construction group B2. The civilian contractors were Grun & Bilfinger AG. They were a large German construction firm specialising in heavy construction, with vast experience in underground structures such as sewage works and underground railways. They were also very experienced in building structures from heavily reinforced concrete. The firm had been in existence since 1890 and were widely involved in both the reconstruction of Germany at the end of the Second World War, and creation of construction employment before the war. 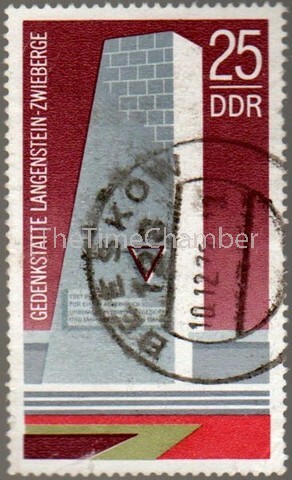 The Nazi concentration camp at nearby Langenstein Zweiberge was to provide the Slave labour. By the end of the War some 13Km of tunnels had been dug for use as a factory producing turbine parts for Junkers aircraft. This was at the unfortunate cost of some 4500 lives of the slave labourers. The tunnels and camp were liberated on the 11th April 1945 by the US army and around a thousand prisoners were saved from the concentration camp. A Memorial has been erected at Langenstein Zweiberge to commemorate the dead. 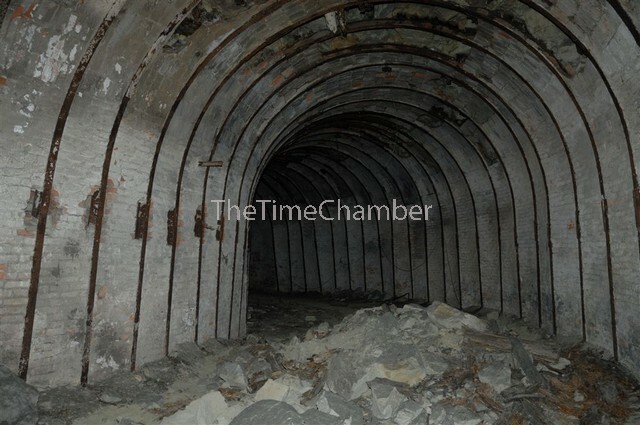 After WW2 the bunkers were looted and stripped of equipment by the Red Army and they set in place plans to demolish the system by caving it in completely. 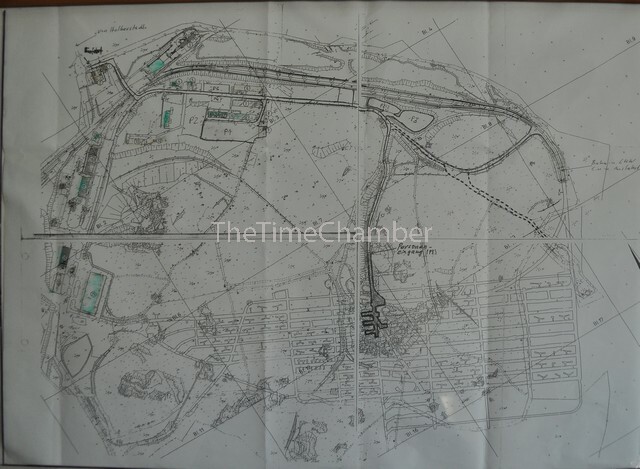 The T shaped section on the plan indicate the chambers where the Russians were going to plant explosives to bring the tunnels down. But this demolition never came about and instead the tunnels were retained in case they had a future use. 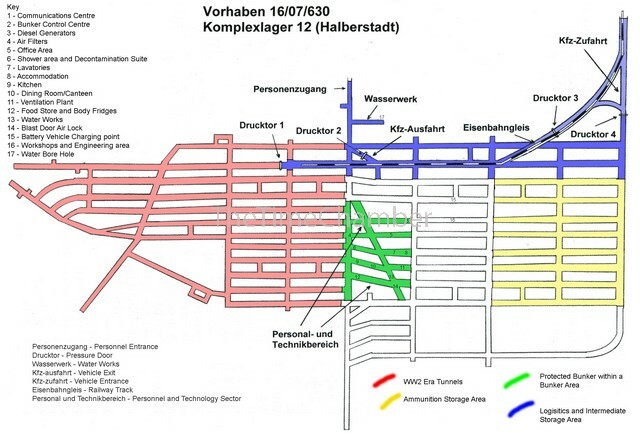 In the 1970s the National Volksarmee (NVA) or East German Army took over the Tunnels and extensively enlarged them by some 7Km and remodelled them to form Komplexlager 12, or Forward Supply base 12 in the early 1980s. The work was done by civilian contractors and the Engineer Construction Regiment 12 of the NVA. 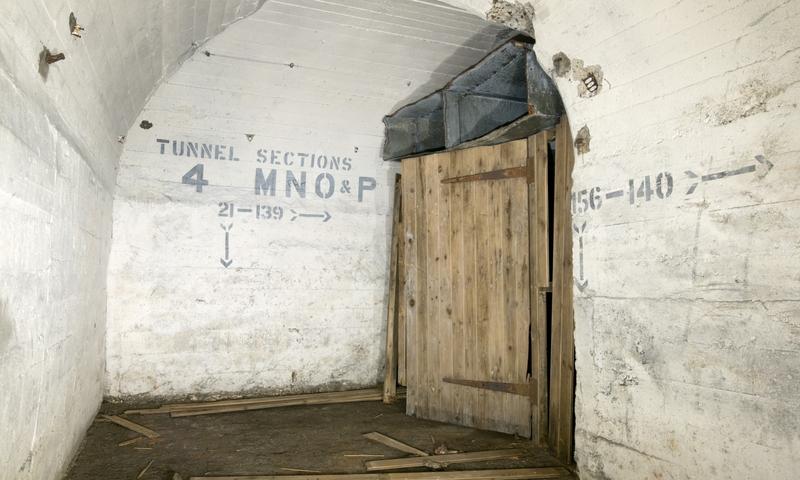 The tunnels were then stocked with 5500 tons of ammunition and 3500 tons of clothes and equipment. 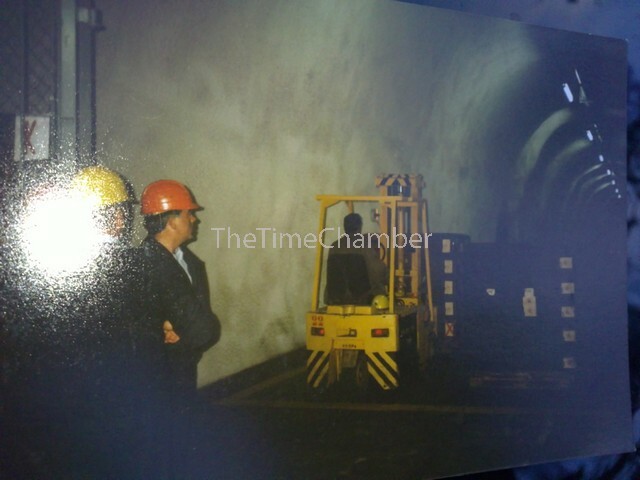 The tunnels were supplied by train and the ammo moved around by electric forklift trucks and tractors. The whole inventory of the bunker could be distributed to the front line in the event of an east/west war in 24 hours thanks to the loading dock which was 960m long and the 120 electric forklift trucks available in the depot. 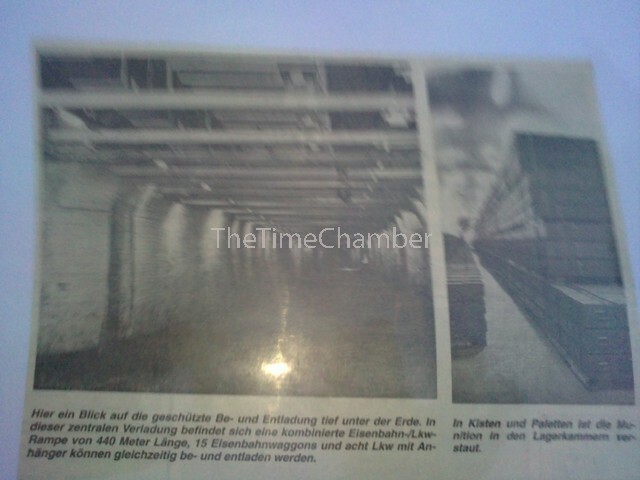 After the Re-unification of Germany at the end of the 1980s the Bundeswehr took over the tunnels all the ammunition was removed to be stored elsewhere. Regulations laid down prevented the Bundeswehr from storing ammunition underground. At this time the Bundeswehr extensively modernised and refurbished the bunker and operated it as Airforce Supply Depot 5. This continued till the early 1990s when the site was closed and sold off. It has been in the hands of a private individual since 1995 with the idea of opening it as a museum, unfortunately this has yet to happen. During its lifetime, the East German State Secret Police (Stasi) unsuccessfully searched the WW2 areas looking for Looted Nazi Art treasures, particularly the Amber room. 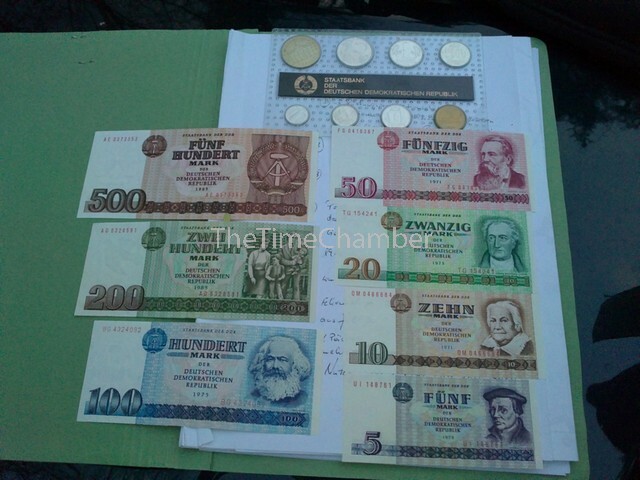 And in the 1990s, after the reunification, the tunnels were also used to store around 4500 metres squared (about 620 million individual banknotes) of GDR paper money. This has since been burnt following a theft of notes by two Halberstadt residents in 2001. All uncirculated 200M and 500M notes on the collection market are attributed to this theft. The underground are is split into four main areas. 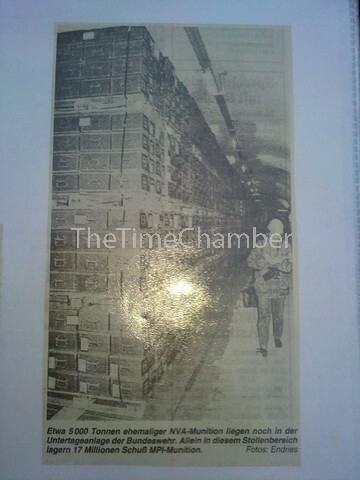 3) Ammunition Storage area  5000 tons or 90,000 rounds of ammo stored here which could be distributed in 24 hours. The protected bunker area was a self contained bunker within a bunker that was designed for 250 core and 100 attached personnel made up of military and civilian workers. It was provided with medical facilities, dormitories (which operated on a hot bed system), kitchen (the kitchen provided hot food 24/7 for not only the bunker workers but also the sentries on the surface which number about 40 soldiers) and recreation facilities. It also had filtered and conditioned air, heating plant, water from a bore hole, 3 diesel generators and enough food and fuel stored to enable the bunker to work in isolation for 40 days continuously. It had engineering facilities great enough to enable anything to be maintained and repaired without any external help at all. It had a very extensive Decontamination Suite area, with coloured lines on the floor for the people to follow. Red for very heavy contamination, blue for medium contamination, and green for no, or minimal contamination. Each stage was mentored by radiological monitoring equipment, and you were only allowed out of the decontamination area if you passed the testing. This was accomplished with a remotely controlled gate.